Why do I need a bot? RockstarChatbots presented chatbots for business at a recent Catalyst88 conference for Amazon sellers. We were welcomed by the group and everyone helped to find uses for the bots. Being surrounded by business entrepreneurs is a great way to expose the finer details in deploying chatbots. Each chatbot should have its own unique tool set which aligns with user needs. Knowing what tools are available is one of the key elements in designing chatbots for business. Our presentation sought to define the chatbots in two ways: What their functionality is and where they can be deployed. It helps to think of these functions and sub-functions as interchangeable. Any of them can be combined with another to drive the chatbot towards your chosen goal. However, each function has is good side and bad. Try to think of what your use case may be as we go through some of the variations and combinations. Logic bots and their pre-determined responses work well for tech support or for equipment manuals. They may also work well in a sales funnel that drives all of its visitors to well defined outcomes. Conversely, they may fail when tasked with small talk and other chatter that an AI bot can be prepared for. An e-commerce site with only a few options could be handled by a relatively small question/answer set (logic bot). A large scale shopping site would probably need some advanced capabilities (AI or interactive). One way to picture the differences is deciding who we would want to talk to if we were at a party. If we just need to know where the bathroom is or if the host is recycling, a logic bot would be fine. If we were sitting on the couch, the interactive bot may be the best at turning the conversation a pleasant way and if their were party games, the AI bot would be the best team mate. Looking at it this way, we can see a product launch may use an AI chatbot to project its personality and engage users. Later the scope could be tightened to more effectively define the product and drive users to the buy button. An interactive bot could be tweaked to provide customers with the proper information, help make choices and walk them through to purchase. 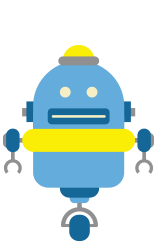 Once the customer needs and the product attributes are defined, the job becomes easier and a logic bot could pass out technical info and how-to’s; handle returns and decide who gets coupons. Most DIY and provider chatbots will use a combination of these functions to get a desired result. An important consideration for all of us is cost. Predictably, the more functions and AI a chatbot uses, the higher the cost will be. However, providers such as Chatfuel or ManyChat enable users to build bots for free. We can build bots quickly on these platforms using our brains, good faith and humor. Some of the options are easy to use and they can be built into powerful AI bots with IBM’s Watson. Messenger chatbots are built with the Chatfuel application. It is a powerful tool that integrates with Facebook’s many communicative and advertising functions. Messenger chatbots make great assistants when running a major Facebook ad campaign or simply engaging users with rapid responses on any Facebook business site. Messenger bots are currently the favorite children in the fledgling chatbot industry. Their only drawback is that they can only be deployed on Facebook sites by Facebook users. Enter RockstarChatbots’ Weber. We built the Web Chatbot and it’s UI Botbuilder to break through the constraints posed by many of the available bot platforms. We wanted a lightweight chatbot that could be deployed anywhere on the web. Additionally, we realized a great variety of user needs would require greater flexibility. Weber is hand crafted on baseline computer languages which can mitigate problems caused by dependence on other programs or applications. The web chatbot’s stability and flexibility enhance it’s charming geniality. We believe it will become a crowning achievement in bot flexibility and extensibility. The AI Chatbot is simply the Web Chatbot supercharged with any applications the web has to offer. Artificial Intelligence, Natural Language Processing (NLP), machine learning (ML) and huge server arrays are combined to produce a cognitive experience. This Lamborghini of the bot world can literally think for itself. These types of bots are making the news; extremely capable in all sorts of human-like behavior. Our proprietary algorithms focus their abilities and keep them working for you. Since chatbots and other modern computing devices and software are still way behind humans in intelligence and creativity we need your help. The more you use our chatbots the more they learn how to get you what you are looking for. Please send us a note so we can inform you about new developments in chatbots and the science behind them. Best wishes from the Rockstar Chatbots Team! Praesent facilisis mauris eget metus facilisis, vulputate eleifend lectus finibus. Interdum et malesuada fames ac ante ipsum primis in faucibus. Etiam laoreet tellus justo, vestibulum finibus lacus luctus non. Phasellus ut ultrices ex. Cras quis turpis justo. Nulla sagittis placerat lacus in viverra. Duis lobortis finibus dolor, et elementum enim consectetur at. Donec sed sollicitudin ante. Sed felis nisl, laoreet in porta ut, sollicitudin vitae elit. Proin iaculis finibus justo, ut volutpat sem blandit in. Aenean sit amet luctus velit. Morbi dapibus, tortor id gravida viverra, risus dui euismod lorem, a convallis tortor nisi fermentum sem. Integer eu nibh lacus. Vivamus nec odio ut nisi tincidunt faucibus. Praesent euismod viverra sollicitudin. Donec tincidunt justo id augue dignissim auctor. Phasellus tortor dui, varius aliquet placerat vel, posuere ut risus. Duis cursus arcu nec tellus semper placerat. Proin vel massa et dolor euismod volutpat. Maecenas interdum mauris ut magna ultricies, nec ultrices mauris venenatis. Sed ultricies a arcu et facilisis. Morbi ut felis eget nisl sollicitudin tincidunt. Donec pellentesque lorem et maximus molestie. Donec molestie egestas elit ut dignissim. Quisque ultrices sodales nulla, eu pharetra risus rutrum eget. Nulla lobortis consequat commodo. Aenean ut bibendum ante, at convallis tellus. 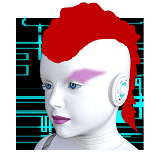 Try out one of our chatbots. Is there a better way to see how they work? We think not and our bots want to prove it to you. A Robot took My Job!